In this essay, the author engages the Moses, a sculpture by Michelangelo, as a transformational object. He does so in light of psychoanalytic interpretations of the statue, including Sigmund Freud’s (who referred to his essay on the Moses as “a joke”), as well as three psychoanalytic interpretations after Freud. While drawing on and combining features of all of these psychoanalytic interpretations, the author makes particular use of Moshe Halevi Spero’s interpretation to affirm a reading of the Moses as representing a paternal figure who not only gives up his anger (and power to castrate) but also actively nourishes his children like a nursing mother. The author also understands Freud’s essay on the Moses to be a form of teasing, which, in part, is why it has been a transformational object for him. 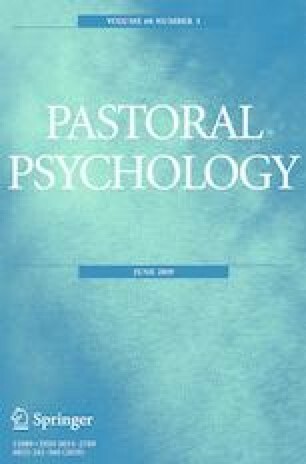 I would like to thank the Group for New Directions in Pastoral Theology, as well as the McGovern Center for Humanities and Ethics, for feedback on this essay. The peer reviewers also were of great help. Although I am not able to credit them directly because they are anonymous, I did incorporate many of their thoughtful suggestions in revising this essay. I also would like to thank William Howze for securing permissions for the use of the images in this essay. All of the works of art in this article are in the public domain. The Moses is a sculpture by Michelangelo Buonarroti, completed in 1545, Church of San Pietro in Vincoli, Rome. The source of this image is Prasenbergen. It was transferred from en.wikipedia to Commons by User: Leoboudv using CommonsHelper. This image is licensed under the Creative Commons Attribution 2.0 Generic. The close-up of the Moses is by Jörg Bittner Unna, also licensed under the Creative Commons Attribution 2.0 Generic. TheNursing Madonna (Madonna Lactans) is by an unknown master of Bruges, 16th century, Museu de Aveiro, Portugal. The source is Alvesgaspar. La Madonna che Allatta il Figlio is a drawing by Michelangelo Buonarroti, about 1525, Casa Buonarroti, Florence.